The biggest difference between Dwell Roofing and other roofing contractors is this: Our top priority is to ensure that customers are 100% satisfied with a job well done for a fair price. Our 5-star rating and rave reviews tell us that we’re on the right track! We are different than other roofing companies who service the Plano and Frisco areas, primarily because we offer more than routine and emergency roof repair & replacement. In addition to these services, we offer hail damage repair, gutter replacement, skylight repair, fence repair, and residential painting. Whether you live in Plano, Allen, McKinney, Carrollton, or any of the surrounding areas – We’re your one-stop shop for exterior home improvements in the Dallas Metroplex. With so many roofing contractors in the Dallas area, deciding which one to choose can be tough – especially in an emergency involving hail damage. Our roofing contractors are licensed insurance adjusters, GAF Pro Field Guide certified, and they have decades of experience. 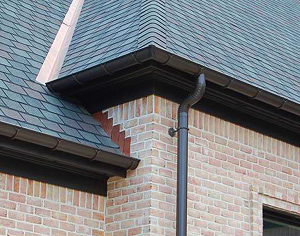 When you choose Dwell as your Dallas roofing company, you can rest easy knowing that your property is in expert hands. 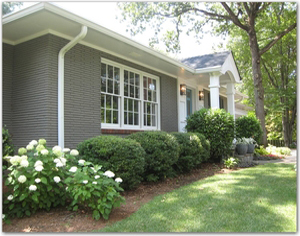 No matter what you need – a full roof replacement; a small flat-roof repair; extensive emergency roof repair; gutter replacement; home window replacement; or any other home exterior service – Dwell is a turnkey provider of services that will enhance your home’s curb appeal and increase both it’s value and energy efficiency. Take advantage of our FREE ASSESSMENT & QUOTE. When you trust us with your most precious asset – your home – we will honor that trust! We meet you at your convenience – Weekends, evenings…any time during the week! We climb onto your roof to take photos & detailed damage notes. We walk your property and inspect gutters, fences, sheds, window screens, etc. We create a detailed estimate that lists everything included for the price. We review your insurance policy and determine if the damage amount exceeds your deductible. Then we’ll help you decide whether or not it makes sense to file a claim. If you file with your insurance company, we’ll work with them to oversee your roofing claim.